Let me introduce myself. 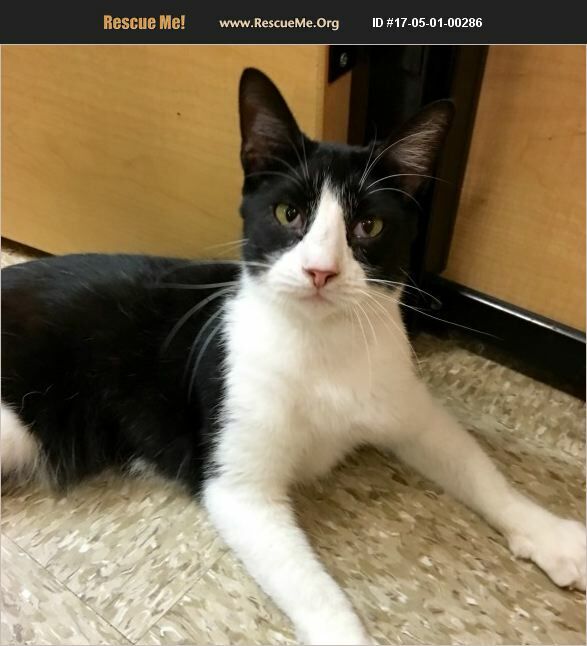 My name is Kiki, and I'm a super sweet, laid-back, strikingly marked female black and white tuxedo DSH who was born in early 2012. I have a white inverted V on my muzzle as well as white chest, front legs, tummy, and boots on my back legs. I have a black mask, cape on my back, and tail. I get along great with other kitties. I have quite a hard-luck story. I was adopted as a kitten several years ago but ended up as a stray on the dangerous streets. Somehow I was severely injured and was picked up by SPCA ambulance. I'm so glad that they scanned me for a microchip, and I was traced back to Buster's Friends, who had purchased my chip. (My family had not registered their contact information for my chip, so it was impossible to find my home.) Buster's Friends rushed over to take me back and nurse me back to health. When they got me, my whole side was wide open from a huge gash. I almost didn't make it because the infection was so bad internally that the wound wouldn't heal. But I was determined to survive, and that is what helped save me. I know that I deserve a loving home the next time around. I want a family who will love me, register my chip, and keep me safe from now on. I hope that my glamorous looks and heart-wrenching story have intrigued you because I want to meet you! Kiki is updated on shots, spayed, dewormed, microchipped, FIV/ FeLV negative, and ready for her indoor-only home. Her adoption fee is $100, cash or check payable to Buster's Friends. No de-clawing allowed. Please click the contact button if you are interested in Kiki, and we can let you know exactly where you can meet her.